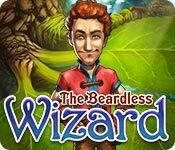 The Beardless Wizard is rated 3.8 out of 5 by 33. Rated 5 out of 5 by lacard from Very Complicated I really enjoyed this game. It was a welcomed change from all the fetch & carry TM games. The game requires persistence and patience. Tutorials are scant. 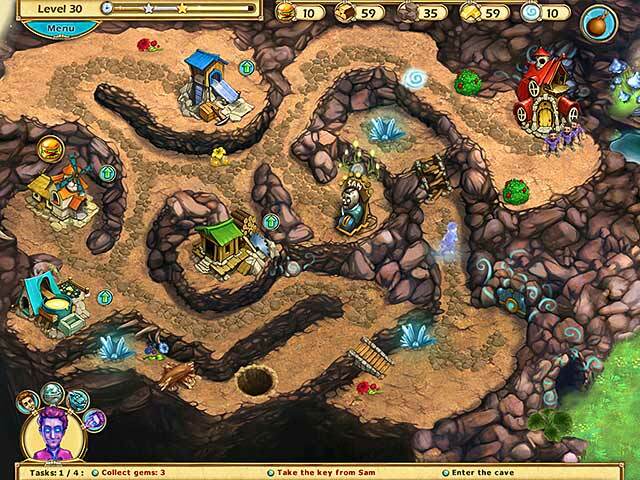 Most levels had to be replayed in order to make gold. 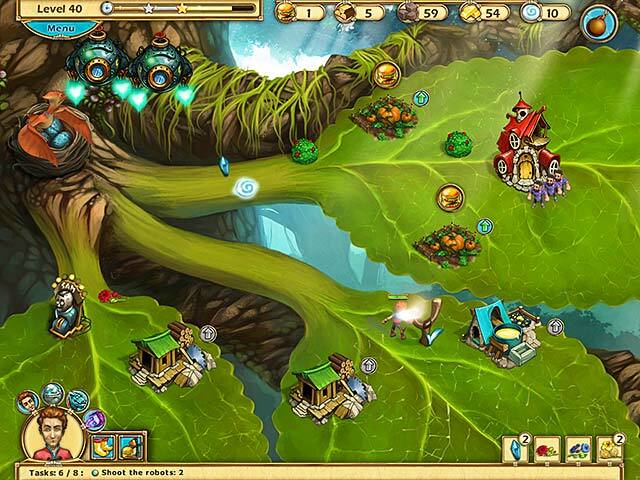 Each level had an alternative level and a hero level. I think there were about 117 levels in total. Several artifacts could be created by picking up bits during the game play. Some artifacts were more useful than others. You could only use 3 at a time. Each level could be played better with some artifacts and not others. Potions could also be made from flowers picked up during game play. I found the potions to be extremely helpful in making gold. Three flower colors added mana, speed, or made production of 4 items. Mana could freeze time, speed workers, replenish resources, or other tasks. The main character changed into three other characters that could accomplish specific tasks. Choosing the right character took time. If the wrong character was selected, the right one flashed in the menu. The dragon character could produce a treasure chest of random resources. That was critical for gold on many levels. Goals for each level changed. Sometimes just one goal was listed then others added as the game went on. Some might find this annoying. I thought it was challenging. Graphics were old fashioned. Music and sound effects were OK but could be muted. My only really big complaint is that after making all achievements the ultimate champion achievement did not work for me or most of the fishes in the forum. That's a big glitch and very annoying. Overall, I recommend this game for anyone who really wants to multi-task and think. The dull fetch & carry game strategies will not work with this game. Rated 5 out of 5 by Ziggy_Zigster from WOW! I am a HUGE TM fan and yet I groan at the games that become difficult too soon. This game became 'difficult' by about the fourth level, however you can still continue on the level if time runs out and you can go back to get a better score. There are also 'sub-levels' to certain main levels that allow you to complete the same level with different 'goals'. I normally would give a TM game a lower rating for such 'timing' difficulty - however, not all levels are like that (so far) and you get experience points with the gold star rating which allow you to be faster, stronger, more productive etc. so that will help in the higher levels. You can 'reset' and reassign your EPs at any time in any way - you cannot however, gain more EPs on repeated levels that you already got the gold star on. But you can use the tools, bonuses and potions you've gained in later levels. I truly like the ability to brew potions, create special tools with artifacts you collect as well as an achievements section. Add that to the fact that the music is pleasant with NO annoying and repetitive voice-overs. I wouldn't recommend this game to 'newbies' of the TM genre, but for veterans - it's a must have. It's complex and challenging without a bunch of hand-holding. IMO, it's sort of in between the two. Rated 5 out of 5 by unclepaul from Almost missed great TM game Want sequel I don't know how I missed this one when it first came out, or was it one of those secret admissions? After playing 20 minutes and 5 levels I had to buy it. It reminds me of some of the Dungeons and Dragons games that were so popular long ago. Your character gains experience points through fulfilling tasks and gets better at doing things, learns spells, can shape shift. Initially I tried to get the gold, but soon was lost in the variety of things that can be done. Bonus you don't have to start over when you run out of timeas it continues as long as you like so that acts as a relaxed mode for slow gamers. I may not get gold but I don't care. It is so much fun. 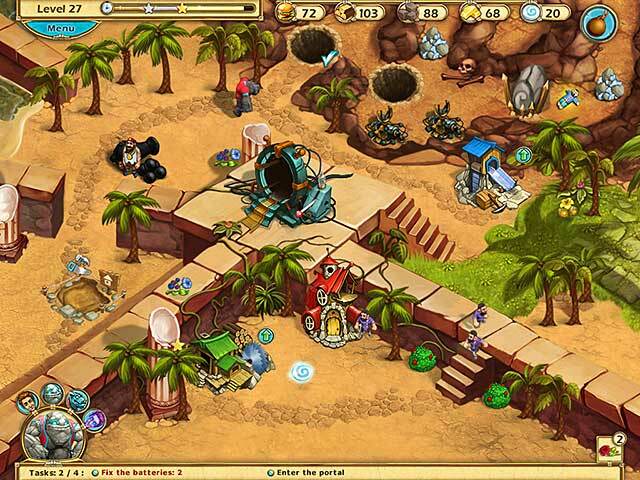 It allows you do actions in a different order which is one of the bonuses in good time management games, so there are a number of different ways to complete the game and add to that the use of the potions/ spells and different characters and upgrades and you have a game that is re-playable many times to improve your time . I like good time management games that make you think and HOGs for relaxation and training observation. Rated 5 out of 5 by KirstenS16 from Best Time Management Game Ever!!! My favourite type of game is Time Management. Prior to this game my favourite was the My Kingdom for the Princess series. This one is soooo much better! You get to make potions and create objects that help you along the way. I am totally addicted, I Looooove it! Rated 5 out of 5 by Moon_Kitty from Lovely time management game I can't wait to get the full version of this one. The story is amusing for adults and children (no worries about content here), I found it challenging without being frustrating and impossible to finish the levels. Rated 5 out of 5 by superkatok from SO MUCH FUN! 5 STAR TM GAME! Had soo much fun playing it! First couple of levels look like your typical tm game, but then game start to really really grab your attention with it bright and quality visual style, humorous story and mind-blowing gameplay. I think it's quite unique game, you can take a different approach to walkthrough, thanks to abilities of hero. Seriously, guys, where else you can see shapeshifting main hero, who is doing various crazy things? Also it brought to me a lot of joy to play extra levels, which there are plenty of. So, what I want to say is that you definitely shoud play it! Rated 5 out of 5 by DanieJo from This game is so much fun! I play time-management and strategy games almost exclusively. I have tried hidden object games but lose interest quickly. So I have played many time management games.... I was a bit skeptical at first with this game, but now I LOVE it! The story line is humorous, and the play is very challenging. You have to really think about your strategy on each level. So glad I tried and bought this game! Rated 5 out of 5 by Jexzl from Fun! Different from other games in this genre, and that's why I liked it! Rated 5 out of 5 by ozziebasia from 5 STARS FROM ME BECAUSE I'M HAVING FUN !!!!!!!!! Firstly I wish other players would respect that everyone has a different opinion of the games we play and yes I gave it 5 stars because I am enjoying myself and having fun, however one reviewer didn't enjoy it and couldn't understand why this was a 5 star game. Quite simple really, some players really like it and others like yourself don't. SIMPLE REALLY, DON'T YOU THINK? Now for the game, loving it and having so much fun. First couple of levels was a little confused however doesn't take long to work it all out and I feel the instructions are sufficient unless you're really not too bright. A pleasant, magical theme for a nice change with potions to mix, witches, changing characters when needed and beautiful, colourful graphics. I'm only on level 8 and have bought the game and already the challenge is starting to become slightly harder and looking forward to challenge myself as the game progresses. Definitely has a great fun factor as Eugene the apprentice and friends go of to save his magic teacher and I can't wait for the adventure that lies ahead. So for me personally I am having fun, fun, fun and the music isn't too bad either. Just turn it down if it is a bother. As I always say in my reviews, try, buy and enjoy :) I'm off now for more FUN !!!!!!!!!!!!! !